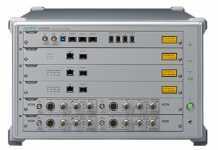 The BLH Nobel brand of Vishay Precision Group , experts in standard and custom process weighing and force measurement solutions, including high-quality and high-accuracy weighing and control systems, on May 30, announced that its G5 Series panel mount measurement amplifiers (G5 PM Series) are now certified “legal-for-trade” via firmware upgrade, as per the very latest standards set forth by EN45501:2015 and the International Organization of Legal Metrology (OIML). 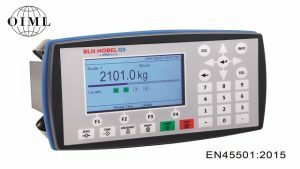 In global commercial applications where product is sold by weight, a legal requirement exists for all associated weighing equipment, whether individual scales or a full pre-pack line, to be “legal-for-trade” certified. 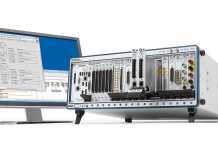 Such certifications confirm that associated instrumentation has undergone the necessary stringent testing to ensure its total conformance to uniform global accreditation standards. This further ensures that it is sufficiently accurate for its intended commercial weighing purpose. 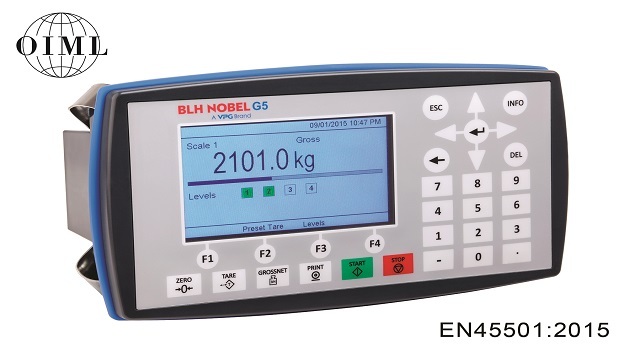 With the BLH Nobel “legal-for-trade” firmware upgrade, the G5 PM Series can now support all non-automatic weighing applications, in full compliance with EN 45501 and OIML R76 Class III or IIII single-interval industrial use criteria (NTEP approvals pending). The measurement amplifier offers secondary functionality as a long-term onboard data storage device, without the need for a stand-alone printer. Units can accept any traditional load cell input signal with a 0.4 μV minimum verification scale interval, and with maximum potential intervals set at 10,000. 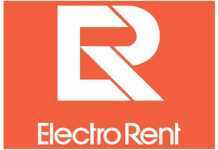 Initial device storage capacity exists for up to 50,000 individual text records, allowing for up to 500 separate files of 100 records each. Each file name is assigned a unique identification number for tracking purposes.